It is about this time of year that people start getting that craving for pumpkin–something about the lessening light each day, the slight change in the air (maybe more than slight if you live up north), and being back in the rhythm of school, I suppose. I am not one to go out and try a pumpkin latte and don’t really understand the craze but I do love pumpkin baked goods. Awhile back (2012! 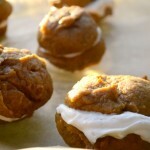 ), I made these mini pumpkin whoopie pies to have for the kids dessert table on Thanksgiving. Nothing really fancy here, just two soft cookies sandwiching a creamy, Oreo cookie like filling. 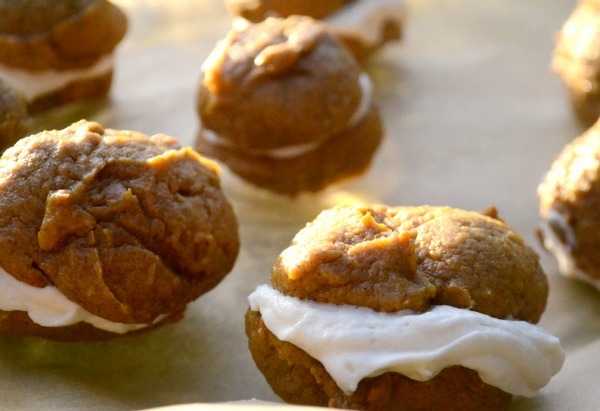 In this particular version, I stayed with the pumpkin cookie and the white filling. Simple, classy and delicious. 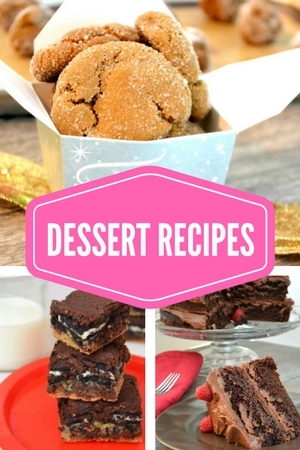 The perfect recipe for Thanksgiving, Halloween, or the fall season in general. In a stand mixer, whip together the butter and the marshmallow fluff, the vanilla and the confectioners sugar.